vintage affair: New items added!! I have finally been able to get some more items cleaned up and photographed. It is amazing how much time this takes. You can find the link to my ebay sales above. I ended up getting some nice vintage women's snake skin or alligator shoes by Polly Bergan. Some Miche purse and a couple others I found interesting. My philosophy is that I pay so little, that if they don't find a new home, they will be donated to the cancer thrift store who will benefit from the donation. Also a few of the women there absolutely love the purse I get. Its very rewarding and fun to go in and hear them talk about how they found this awesome bags..
Then these lovely pear shaped tourmaline earrings came back to me. I sold them as Sphene 18kt gold earrings. But I didn't have them looked at by a jeweler. I assumed all the photos I added would have been enough for any buyer to see if what I said was correct. Well everything was wrong to one buyer, turned out not to be gold but sterling silver, stones turned out to be something else and they are broke. So to get this taste out of my mouth, I am just hoping to try to get back some of the costs that I have endeared. I had listed a few things a few days ago, the center seat for the w111 fintail I got earlier a few days ago, yesterday I managed to also get the solex 34 carbs cleaned and looked over. So those are listed. 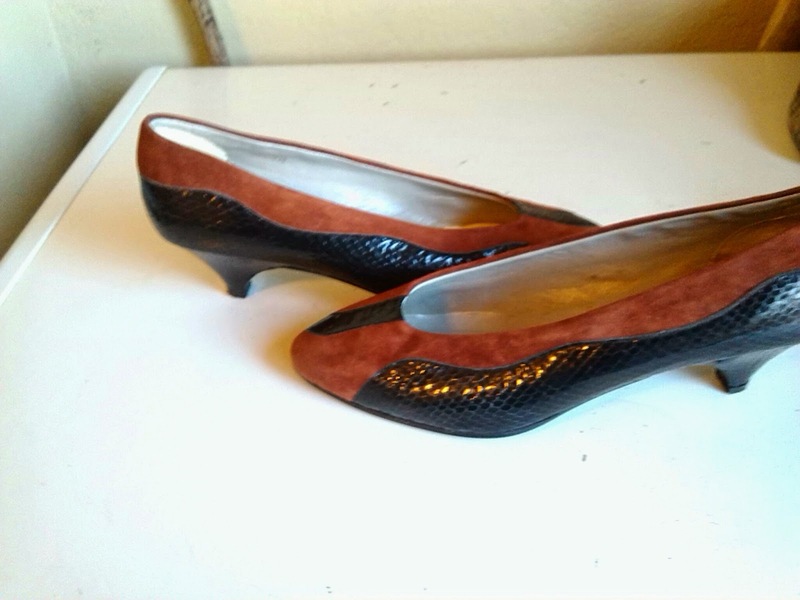 I also listed a pair of gorgeous red snake skin shoes by J Rene. I was shocked how fast they sold. There was also some vintage jewelery pieces like a Best Brooch that I put up. Nothing amazing but just neat vintage pieces to add a pit of color and rhinestone glitter to your jacket. Even added a jacket by Evan Picone.